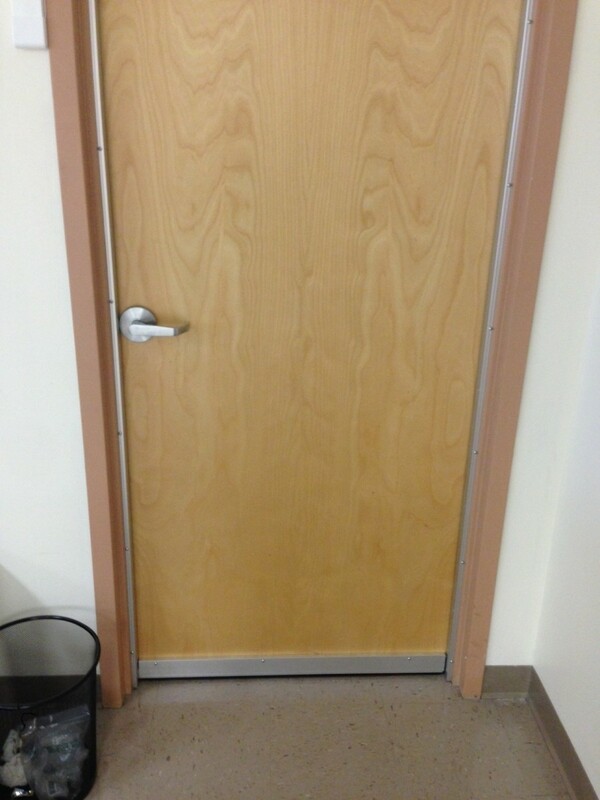 An office room converted to a clean machine room for testing of equipment/products in Needham MA was questioned to be too loud to use. 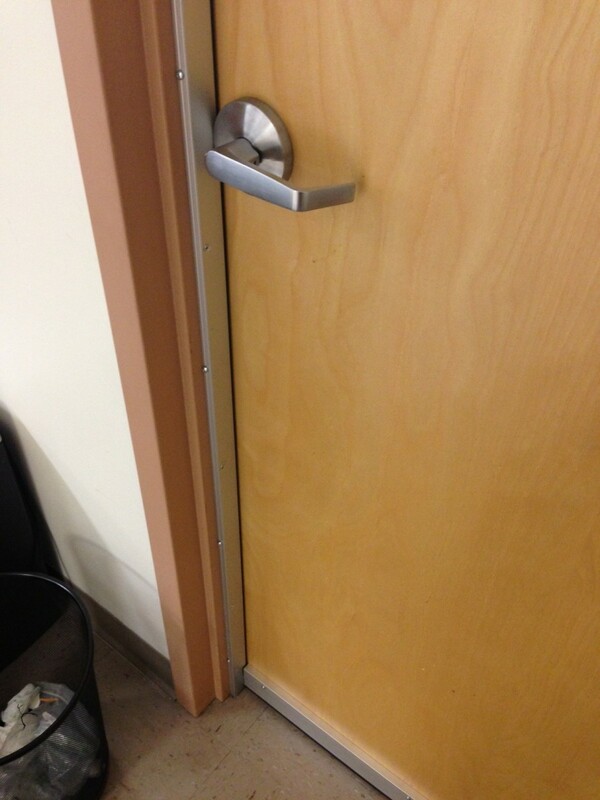 The company wanted to use its smaller room to put a machine used to test some of their products so that it would not disturb other employees within the medical building. After New England Soundproofing evaluated the machine noise coming from the hallway that it was previously located, we knew the right solution for them was to have absorption panels throughout their new machine room. 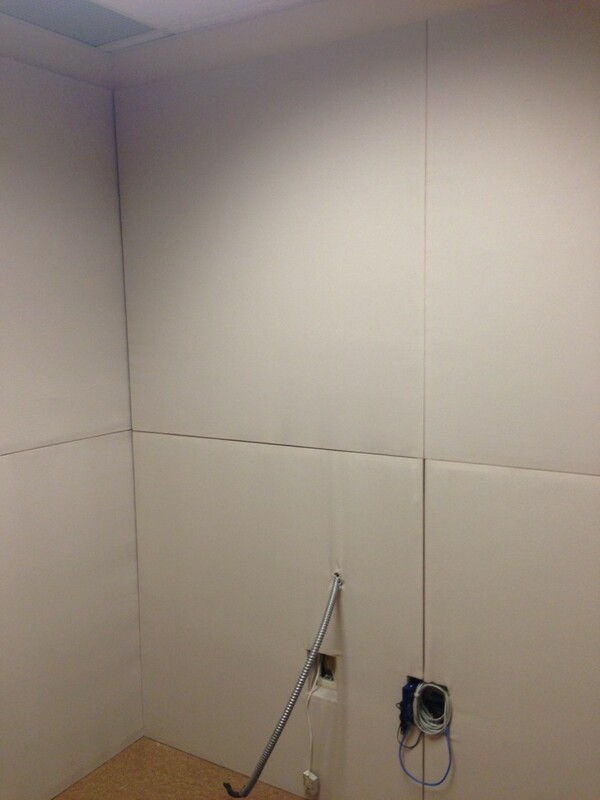 This solution allowed us to absorb the sound within the room, so that minimal noise would get out, making it bearable to work next to the machine in such a small space. 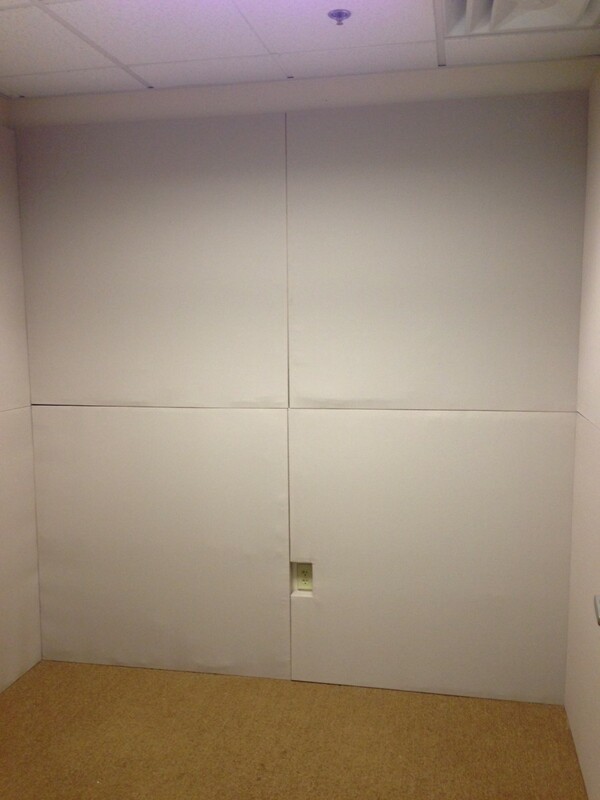 New England Soundproofing made complete custom panels for the walls off the room. 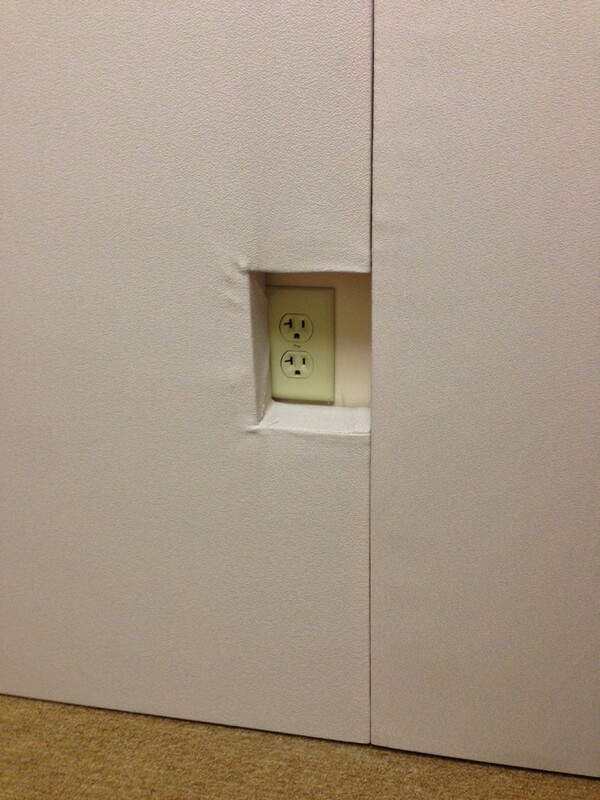 These panels are so exact; they fit around any outlets and wires that were currently there. 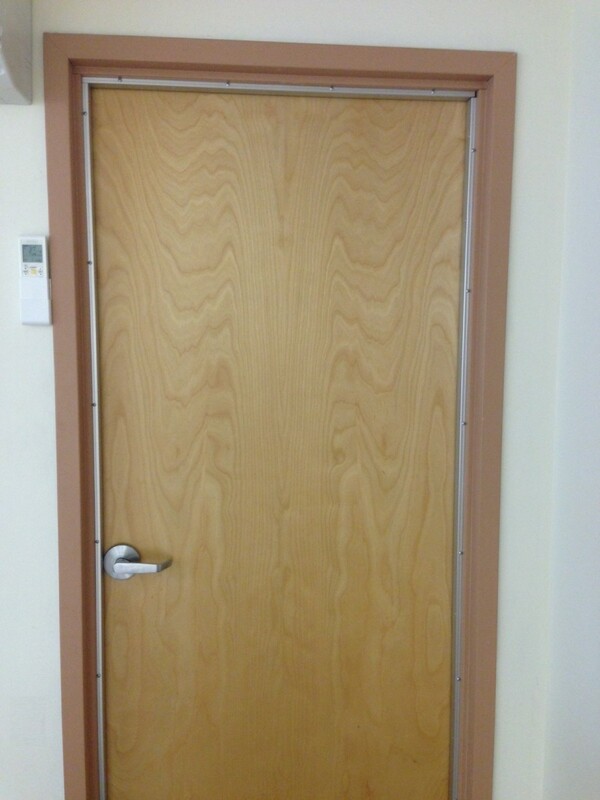 For the door, New England Soundproofing installed a MD Door Seal Kit, along with a full soundproof door barrier. Now Boston Sight can use the machine and not be disturbed by it. A Boston Sight Engineered commented, “The most important and satisfying aspect is that we can now work within the room, testing our products safely, and won't be bothered by that machine noise!” For your next machine room, contact New England Soundproofing, so we can install custom sized acoustic panels within the room so that it absorbs and reduces the noise inside.